We are very pleased to have acquired the services of an excellent selection of keynote speakers for KES2012. The speakers and the titles of their talks are shown below. Ajith Abraham received the Ph.D. degree in Computer Science from Monash University, Melbourne, Australia. He is currently the Director of Machine Intelligence Research Labs (MIR Labs), Scientific Network for Innovation and Research Excellence, USA, which has members from more than 85 countries. He has a worldwide academic and industrial experience of over 20 years. He works in a multidiscciplinary environment involving machine intelligence, network security, various aspects of networks, e-commerce, Web intelligence, Web services, computational grids, data mining, and their applications to various real-world problems. He has numerous publications / citations (h-index 40) and has also given more than 50 plenary lectures and conference tutorials in these areas. Emilio S. Corchado is an Associate Professor of Computer Science at University of Salamanca.-(BISITE Research Group and GICAP Research Group). He is chair of the IEEE Systems, Man and Cybernetics-Spanish Chapter; member of the IEEE Spanish Section Board and member of the IEEE R8 PA subcommittee. He is or was member of some European networks of Excellence as Nature-inspired Smart Information Systems (NiSIS) and COST Action IC0806: Intelligent Monitoring, Control and Security of Critical Infrastructure Systems (IntelliCIS). He is reviewer and evaluator for the European Commission for the 7FP since 2007. His research interests include neural networks, with a particular focus on exploratory projection pursuit, maximum likelihood hebbian learning, self-organising maps, multiple classifier systems and Hybrid Artificial Systems and its applications to industrial and environmental problems. He has published over 200 peer-reviewed articles in a range of topics from modelling of industrial processes, knowledge management and risk analysis, intrusion detection systems, food industry, artificial vision, and so on. He is member of the Editorial Boards of the International Journal of Computational Intelligence and Applications (IJCIA) and also of the International Journal of Reasoning-based Intelligent Systems (IJRIS). Dr. Corchado is guest editors of several special issues of reputed journals as Information Science (Elsevier), Knowledge and Information Systems (Springer), Neurocomputing (Elsevier), International Journal of Neural Systems (World Scientific), Logic Journal Of the IGPL (Oxford Journals), Neural Networks World (Institute of Computer Science AS CR and Faculty of Transportation Sciences), Expert Systems (Wiley-Blackwell). He is general chair for the following conferences: International Conference on Hybrid Artificial Intelligence Systems (HAIS), International Conference on Soft Computing Models in Industrial and Environmental Applications (SOCO) and International Conference on Computational Intelligence in Security for Information Systems (CISIS). He has given plenary talks at several international conferences and been visiting professor at universities in Poland and Czech Republic. This keynote address will offer an overview of the field of multi-sensor, and/or multi-source information fusion in the context of social robotics - a relatively new domain of activity in the long established field of robotics. Central to the developments in the area of social robotics is the ability to have reliable, robust, safe, near-instantaneous human-robot interaction. Just as humans process and fuse information from the five senses vision, audition, taction, olfaction and gustation, it is possible to envisage the fusion of information by the robot from its multiple sensors and sources. For human-robot interaction to be efficacious in successful deployment of social robots, it is necessary to have matching information fusion capability inculcated in the social robot being designed for interacting with the human. This overview of how information fusion can aid the development of social robots in presented through the mode of addressing the questions of what, why, when, and how, of information fusion in the context of such human-robot interaction. Dr. Belur V. Dasarathy, an IEEE Fellow, is an independent consultant offering services to commercial and government clients in the design and development of automated intelligent decision systems arising in a variety of applications. His expertise includes guidance, teaching, research and development (R&D) and R&D management in the areas of intelligent decision systems, learning systems, multi-sensor multi-source information fusion, knowledge discovery through pattern recognition and data mining, image analysis and other related topics. His prior professional full-time affiliations have included Dynetics, Inc., Intergraph Corp., Computer Sciences Corp., Indian Institute of Science, Southern Methodist University, as well as adjunct positions at University of Alabama in Huntsville. He has been an invited speaker at many international conferences over the past decade such as 2008 International Conference on Aerospace Science and Technology, India; 2008 Indo-US Workshop on Regional Air Transportation, India; The 2nd International Conference on Information Security and Assurance, 2008, Korea; 2007 Future Generation Communication and Networking, Korea; 2006 IDGA Conference on Night Vision Systems, Washington, DC; 2006 IEEE Intl Conf on Multisensor Fusion and Integration for Intelligent Systems, Germany; 2006 Biologically Inspired Information Fusion, UK; ISSNIP'04 Australia; International Conference on Human-Machine Interface ICHMI'04, India; IEEE International Conference on Computational Cybernetics ICCC'04 Austria; The 11th International Conference on Advanced Robotics, ICAR Portugal; International Workshop on Information Fusion 2002, China; IX Spanish Symposium on Pattern Recognition and Image Processing 2001, Spain; IEEE International Conference on Industrial Technology, ICIT 2000, India; International Conference on Applications of Pattern Recognition 1998, England. 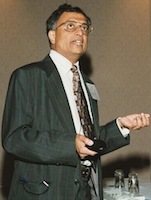 Dr. Dasarathy was honored as the IEEE Huntsville Section Outstanding Engineer 1996, IEEE Region 3 Outstanding Engineer for 1997 and a recipient of the IEEE Third Millennium Medal. He was one of the founding members of the board of directors of the International Society on Information Fusion (ISIF) and served on it for three years. He was the guest editor of Optical Engineering for three special sections on Sensor Fusion. From 1997 to 2009, he has been the organizer and chairman of two annual SPIE Conferences on multi-sensor, multi-source information fusion and data mining, intrusion detection & network security. He was the publicity chair for the International conferences on Information Fusion - Fusion 1998, Fusion 1999, Fusion 2001, a member of the executive committee of Fusion 2000, and is a member of the International Program committee for Fusion 2003. He has organized and chaired special sessions on Information Fusion and Data Mining at other conferences including IEEE Decision and Control 1998, International Joint Conference on Neural Networks 1999, IGARSS 2000, IECON-2000. He has been a member of the Scientific Committee for the annual workshop on Multiple Classifier Systems since 2000 including the one to be held in 2003. He was also the technical vice-chair for Autotestcon 2002. Dr. Dasarathy has over 180 open literature publications with him as primary author in majority of these publications. He is the author of three IEEE Computer Society Press books: Decision Fusion, Nearest Neighbor (NN) Norms: NN Pattern Classification Techniques, and Image Data Compression: Block Truncation Coding. He has also contributed chapters/sections to other books, including one in the handbook on Data Mining and Knowledge Discovery (Oxford University Press, 2002). His publications have been cited in the literature in over 400 studies. Neural networks (NN) and support vector machines (SVM) play key roles in machine learning and data analysis in the past 2-3 decades. However, it is known that these popular learning techniques face some challenging issues such as: intensive human intervene, slow learning speed, poor learning scalability. This talk will introduce a new learning technique referred to as Extreme Learning Machine (ELM). ELM not only learns up to tens of thousands faster than NN and SVMs, but also provides unified implementation for regression, binary and multi-class applications. ELM not only produces good results for sparse datasets but also is efficient for large size of applications. From both theoretical and practical points of view, NN and SVM/LS-SVM may only produce suboptimal solutions to ELM. ELM is efficient in time series, online sequential, incremental applications. More and more researchers are studying ELM and its potential applications in face recognition, EEG signal processing, brain computer interface, medical image processing, bioinformatics, disease prediction/detection, object recognition, knowledge discovery, semantic web, hardware implementation, cloud computing, etc. Guang-Bin Huang received the B.Sc degree in applied mathematics and M.Eng degree in computer engineering from Northeastern University, P. R. China, in 1991 and 1994, respectively, and Ph.D degree in electrical engineering from Nanyang Technological University, Singapore in 1999. During undergraduate period, he also concurrently studied in Applied Mathematics department and Wireless Communication department of Northeastern University, P. R. China. From June 1998 to May 2001, he worked as Research Fellow in Singapore Institute of Manufacturing Technology (formerly known as Gintic Institute of Manufacturing Technology) where he has led/implemented several key industrial projects (e.g., Chief architect/designer and technical leader of Singapore Changi Airport Cargo Terminal Upgrading Project, etc). From May 2001, he has been working as an Assistant Professor and Associate Professor (with tenure) in the School of Electrical and Electronic Engineering, Nanyang Technological University. His current research interests include machine learning, computational intelligence, extreme learning machine, pattern recognition, games, and human/brain computer interface. He has been invited to give keynote speeches and talks in international conferences and top-ranked universities. He severed as General Chairs and Plenary Chairs in different international conferences. He was Program Chair of IEEE TENCON2009 (IEEE Region 10 flagship conference with 550+ registered participants). He serves as an Associate Editor of Neurocomputing and IEEE Transactions on Systems, Man and Cybernetics - Part B. He is a senior member of IEEE. A widely accepted prediction is that computing will move to the background, weaving itself into the fabric of our everyday living spaces and projecting the human user into the foreground. To realize this prediction, next-generation computing should develop anticipatory user interfaces that are human-centred, built for humans, and based on naturally occurring multimodal human behaviour such as affective and social signaling. This talk discusses a number of components of human non-verbal behavior like facial expressions and vocal outbursts, and a number of specific behaviors like affective states and social signals, how they can be automatically sensed and analysed by computer, what is the past research in the field conducted by the iBUG group at Imperial College London, and how far we are from enabling computers to understand human behavior. Maja Pantic received the M.S. and PhD degrees in computer science from Delft University of Technology, the Netherlands, in 1997 and 2001. From 2001 to 2005, she was an Assistant and then an Associate professor at Delft University of Technology, Computer Science Department. 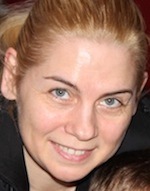 In April 2006, she joined the Imperial College London, Department of Computing, UK, and continued working on machine analysis of human non-verbal behaviour and its applications to Human-Computer Interaction (HCI). In October 2010, she became Professor of Affective & Behavioural Computing and the leader of the Intelligent Behaviour Understanding Group (iBUG). From November 2006, she also holds an appointment as the Professor of Affective & Behavioural Computing at the University of Twente, Computer Science Department, the Netherlands. In 2002, for her research on Facial Information for Advanced Interface (FIFAI), Prof. Pantic received Dutch Research Council Junior Fellowship (NWO Veni), awarded annually to 7 best young scientists in exact sciences in the Netherlands. In 2008, for her research on Machine Analysis of Human Naturalistic Behavior (MAHNOB), she received European Research Council Starting Grant, awarded annually to 2% best young scientists in any research field in Europe. 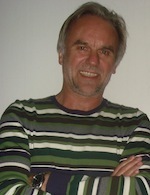 In 2011, Prof. Pantic received BCS Roger Needham Award, awarded annually to a UK based researcher for a distinguished research contribution in computer science within ten years of their PhD. Prof. Pantic currently serves as the Editor in Chief of Image and Vision Computing Journal (IVCJ), an Associate Editor for both the IEEE Transactions on Pattern Analysis and Machine Intelligence (TPAMI) and the IEEE Transactions on Systems, Man, and Cybernetics Part B (TSMC-B), and a member of the Steering Committee of the IEEE Transactions on Affective Computing (TAC). She is also a member of the IEEE Systems, Man and Cybernetics Society Board of Governers. She was and is the organizer of several conferences including IEEE SMC 2004, IEEE FG 2008 and 2013, and ACII 2009, and she is the initiator and co-organiser of both CVPR for Human Communicative Behaviour Analysis (CVPR4HB 2008-2011) and Social Signal Processing Workshop (SSPW 2009-2011). The incorporation of latest-generation sensors to airborne and satellite platforms for remote observation of the Earth is currently producing a nearly continual stream of high-dimensional data, and this explosion in the amount of collected information has rapidly created new processing and information extraction challenges. For instance, hyperspectral signal processing is a new technique in remote sensing that generates up to thousands of spectral bands at different wavelength channels for the same area on the surface of the Earth. In recent years, several efforts have been directed towards the design advanced information extraction techniques and their efficient implementation for accelerating computations in remote sensing missions. The ultimate goal is to be able to exploit these systems in applications which require near real-time performance, such as wild land fire tracking, biological threat detection, monitoring of oil spills and other types of chemical contamination. With the aim of providing an overview of current and new trends in parallel and distributed systems for remote sensing applications, this presentation describes several different strategies for efficient implementation and advanced information retrieval from remotely sensed hyperspectral data sets, including implementations on parallel clusters and heterogeneous networks of workstations, as well as on specialized hardware devices suitable for onboard data analysis, such as field programmable gate arrays (FPGA) and graphics processing units (GPUs). Combined, these parts deliver an excellent snapshot of the state-of-the-art in those areas, and offer a thoughtful perspective on the potential and emerging challenges of designing new systems for intelligent and computationally efficient information extraction from remotely sensed hyperspectral data. Antonio Plaza received the M.S. and Ph.D. degrees in computer engineering from the University of Extremadura, Caceres, Spain. He was a Visiting Researcher with the Remote Sensing Signal and Image Processing Laboratory, University of Maryland Baltimore County, Baltimore, with the Applied Information Sciences Branch, Goddard Space Flight Center, Greenbelt, MD, and with the AVIRIS Data Facility, Jet Propulsion Laboratory, Pasadena, CA. He is currently an Associate Professor with the Department of Technology of Computers and Communications, University of Extremadura, Caceres, Spain, where he is the Head of the Hyperspectral Computing Laboratory (HyperComp). He was the Coordinator of the Hyperspectral Imaging Network (Hyper-I-Net), a European project designed to build an interdisciplinary research community focused on hyperspectral imaging activities. He has been a Proposal Reviewer with the European Commission, the European Space Agency, and the Spanish Government. He is the author or coauthor of around 300 publications on remotely sensed hyperspectral imaging, including more than 60 Journal Citation Report papers, 20 book chapters, and over 200 conference proceeding papers. His research interests include remotely sensed hyperspectral imaging, pattern recognition, signal and image processing, and efficient implementation of large-scale scientific problems on parallel and distributed computer architectures. Dr. Plaza has coedited a book on high-performance computing in remote sensing and guest edited seven special issues on remotely sensed hyperspectral imaging for different journals, including the IEEE TRANSACTIONS ON GEOSCIENCE AND REMOTE SENSING (for which he serves as Associate Editor on hyperspectral image analysis and signal processing since 2007), the IEEE JOURNAL OF SELECTED TOPICS IN APPLIED EARTH OBSERVATIONS AND REMOTE SENSING (for which he serves as a member of the steering committee since 2011), the International Journal of High Performance Computing Applications, and the Journal of Real-Time Image Processing. He is also serving as an Associate Editor for the IEEE GEOSCIENCE AND REMOTE SENSING NEWSLETTER. He has served as a reviewer for more than 280 manuscripts submitted to more than 50 different journals, including more than 140 manuscripts reviewed for the IEEE TRANSACTIONS ON GEOSCIENCE AND REMOTE SENSING. He has served as a Chair for the IEEE Workshop on Hyperspectral Image and Signal Processing: Evolution in Remote Sensing in 2011. He has also been serving as a Chair for the SPIE Conference on Satellite Data Compression, Communications, and Processing since 2009, and for the SPIE Remote Sensing Europe Conference on High Performance Computing in Remote Sensing since 2011. Dr. Plaza is a recipient of the recognition of Best Reviewers of the IEEE GEOSCIENCE AND REMOTE SENSING LETTERS in 2009 and a recipient of the recognition of Best Reviewers of the IEEE TRANSACTIONS ON GEOSCIENCE AND REMOTE SENSING in 2010. He is currently serving as Director of Education activities and member of the Administrative Committee of the IEEE GEOSCIENCE AND REMOTE SENSING SOCIETY. Morphological neural networks (MNNs) were devised by incorporating concepts of mathematical morphology (MM) into articificial neural networks. Specifically, an MNN is often defined as a type of artificial neural network that performs an operation of mathematical morphology at every node, possibly followed by the application of an activation function. The reasons why several models of MNNs employ operations of the mathematical theory of minimax algebra are twofold: First of all, classical grayscale MM (umbra approach) can be embedded into minimax algebra. Secondly, minimax algebra grants an easy access to the definition of real-valued weights in MNNs. There are two viewpoints on MM that have heavily influenced the development of morphological neural networks and their learning algorithms: From the geometrical or topological perspective, MM represents a theory for processing and analizing objects, i.e., images or signals, by means of other objects called structuring elements. From the lattice-algebraic perspective, MM is a theory of operators on complete lattices that has recently been extended to complete inf-semilattices. This talk presents an overview of MNNs and briefly addresses some applications in classification, pattern recognition, image and signal processing, computer vision, and prediction. Furthermore, we will discuss the underlying mathematical lattice structures for different types of MNNs. Thus far, the majority of MNN models is based on grayscale MM, i.e., on minimax algebra, and fuzzy MM. In the near future, the development of MNNs should benefit from recent extensions of fuzzy MM since interval Type-2 and intuitionistic fuzzy sets have become increasingly important in rule-based systems for applications in engineering and computing with words as well as in approximate reasoning. The lattice-ordering of other classes of information granules offers additional prospects for MNNs in granular computing. Peter Sussner is an associate professor at the Department of Applied Mathematics, University of Campinas, Brazil. where he will head the Mathematical Imaging and Computational Intelligence Group by the end of 2012. He also acts as a researcher for CNPq, the Brazilian National Science Foundation, and holds a membership of the IEEE Computational Intelligence Society. In addition, he was recently awarded funding from FAPESP, the research foundation of the State of São Paulo, for a research project on methods of computational intelligence and image processing based on mathematical morphology and lattice algebra. He previously worked as a research assistant and visiting professor at the Center of Computer Vision and Visualization at the University of Florida where he completed his Ph.D. in mathematics - partially supported by a Fulbright Scholarship - in 1996. Peter Sussner has (co)authored more than a hundred articles in prestigious international journals, book chapters, and conference proceedings in the areas of artificial neural networks, fuzzy systems, computer vision, global optimization, mathematical morphology and lattice algebra. His work has received over 500 citations in the ISI Web of Science database. He serves as a reviewer for more than twenty scientific journals and is currently a member of the editorial board of the Journal of Mathematical Imaging and Vision. His research interests include computational intelligence, mathematical morphology, and lattice algebra with an emphasis on the following topics: foundations of mathematical morphology in lattice theory, extensions of fuzzy mathematical morphology and applications in image processing, computational intelligence based on lattice theory, morphological neural networks, applications in pattern recognition and prediction. Typically, decisional experiences are not stored, unified, improved, reused, shared, or distributed. This fact motivated the research outlined in this presentation that aims at capturing, improving and reusing the vast amount of knowledge amassed in past decisional experience. We illustrate our approach with a number of case studies and implementations in industry, banking, medicine, and energy. In nature, deoxyribonucleic acid (DNA) contains the genetic instructions used in the development and functioning of all known living organisms. The idea behind our research is to develop an artificial system, an architecture that would support discovering, adding, storing, improving and sharing information and knowledge among agents and organisations through experience. We propose a novel Knowledge Representation (KR) approach in which experiential knowledge is represented by Set of Experience (SOE), and is carried into the future by Decisional DNA (DDNA). Using SOE and DDNA, we further establish principles and the concept of Technological Trust and global e-Decisional Collaborative Community. This research has enormous and exciting potential of opening entirely new and so far not conceptually conceived scientific horizons. With fully developed Decisional DNA embedded in Knowledge Cloud we would be able to pursuit directions of research and implementations similar to those that set today the ground breaking research frontiers in genetic engineering. We would be able, by studying and "improving" Decisional DNA of man-built systems, to enhance systems performance, improve quality of operation, services, and products, avoid disasters by eliminating "bad decisional genes", predict operations of mergers and integrations by combining the individual Decisional DNA, clone systems that perform best, rebuild systems that stopped to operate but their Decisional DNA was stored. This research has the potential of opening up a new global market - Knowledge Market with services changing our individual and communal lives. Prof Szczerbicki has had very extensive experience in the area of intelligent systems development over an uninterrupted 30 year period, 20 years of which he spent in the top systems research centers in the USA, UK, Germany, and Australia. In this area he contributed to the understanding of information and knowledge management in systems operating in environments characterized by informational uncertainties and dynamics. He has published 300+ refereed papers which attracted close to 600 citations. His DSc degree (1993) and the Title of Professor (2006) were gained in the area of information science for his international published contributions. The research of prof. Szczerbicki contributes significantly to the area of smart information use in modeling and development of intelligent systems. With his papers published in the beginning of the nineties in "IEEE Transactions on Systems, Man and Cybernetics" he developed autonomous systems based on information processing for the purposes of intelligent decision support. This was his unique contribution to the emerging cross-disciplinary researches area of smart decisional support for which information and knowledge have a value, are treated as a resource, and are the basis for intelligent decision making. Prof. Szczerbicki was invited to serve as a Board Member of International Academic Advisory Council for Natural and Artificial Intelligence Systems Organization (NAISO), Canada. He was also invited to join Editorial Boards of a number of cognitive, systems, and knowledge engineering related international journals. His academic experience includes ongoing positions with Gdansk University of Technology, Gdansk, Poland; Strathclyde University, Glasgow, Scotland; The University of Iowa, Iowa City, USA; University of California, Berkeley, USA; and The University of Newcastle, Newcastle Australia.